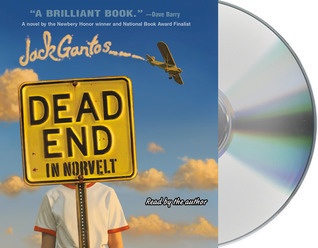 Melding the entirely true and the wildly fictional, Dead End in Norvelt is a novel about an incredible two months for a kid named Jack Gantos, whose plans for vacation excitement are shot down when he is "gr Dead End in Norvelt is the winner of the 2012 Newbery Medal for the year's best contribution to children's literature and the Scott O'Dell Award for Historical Fiction! To ask other readers questions about Dead End in Norvelt, please sign up. why did she have wax on her hands? is their a 2 book to this one? Jenna Axel Yes. It is called 'From Norvelt to Nowhere'. 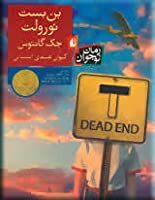 Dead End in Norvelt was selected as the 2012 Newbery Award Winner. About ten years ago, I made (and met!) a goal to read all the Newbery Award winning books from the inception of the award in 1922 to that date. Since that time, I look forward to the announcement of the year's Newbery winner so that I can read it and keep my achievement current. Winners of this prestigious award are quite often remarkable literary works (as one might expect), but sometimes the selected book makes me shake my head Dead End in Norvelt was selected as the 2012 Newbery Award Winner. About ten years ago, I made (and met!) a goal to read all the Newbery Award winning books from the inception of the award in 1922 to that date. Since that time, I look forward to the announcement of the year's Newbery winner so that I can read it and keep my achievement current. Winners of this prestigious award are quite often remarkable literary works (as one might expect), but sometimes the selected book makes me shake my head and wonder what the Newbery selection committee could possibly have been thinking. Unfortunately, Dead End in Norvelt falls into the latter category. This book belongs in a genre that might be called "how-can-we-get-boys-to-read," complete with fart jokes and baby-talk cursing (cheeze us crust). It is peppered with historical "facts" of dubious authenticity. On page 214, Gantos even has Mrs. Volker, the character spouting most of the "history," tell Jack "If you don't know your history you won't know the difference between the truth and wishful thinking." When Jack wants to know whether what she had told him is truth or wishful thinking, she tells him "Look it up for yourself." Speaking of research, Gantos has one of the minor characters selling Girl Scout Cookies. The year is 1962, and he has the girl quote a price of 20 cents per box. Ten seconds of research would have been sufficient to determine that the price per box of Girl Scout Thin Mints was 50 cents in the late 1950s and early 1960s. To further expose his ignorance of Girl Scout cookie sales, he later states that this girl is selling the cookies to make money for her family. That's just sloppy, lazy writing. One final irritation: the author, Jack Gantos, has named his main character...wait for it...Jack Gantos! Is this work of fiction meant to be autobiographical (Lord, I hope not), or is Gantos just that egotistical? There are authors you suspect must be dead. Face it, when you haven’t heard anything from an author in years, you think they must have passed on and perhaps you just missed seeing the obit. I thought Jack Gantos was dead. Well, I thought he was dead until I saw him at last fall’s Texas Book Festival, alive, amazingly, with Elvis Costello glasses and shirt and pants, like was an image straight from the Kennedy sixties. Oddly, he wasn’t a geezer, either, just a older fellow, very close to my own ag There are authors you suspect must be dead. Face it, when you haven’t heard anything from an author in years, you think they must have passed on and perhaps you just missed seeing the obit. I thought Jack Gantos was dead. Well, I thought he was dead until I saw him at last fall’s Texas Book Festival, alive, amazingly, with Elvis Costello glasses and shirt and pants, like was an image straight from the Kennedy sixties. Oddly, he wasn’t a geezer, either, just a older fellow, very close to my own age. He’d just come out with a new Rotten Ralph book and I thought that was it. Then I heard a fan congratulate him on his new YA novel, raving about it in the way that readers often do when confronted with a book author, so I wasn’t terribly sure whether the new book was really worth seeking out. After all, I’d never even checked out any of the Joey Pigza books; I really think I’d forgotten Jack Gantos was even connected with them. And then Dead End in Norvelt wins the Newbery this week. Then it’s a done deal; I read every Newbery. It came in for me at the library yesterday and I immediately started to read. What a yummy book. Hilariously funny in a Richard Peck-ish, A Christmas Story-ish kind of way. You’ve got your main character, a boy Jack Gantos imaginatively names Jack Gantos, living in a town named Norvelt, the town Gantos actually grew up in, in the early sixties, who manages to shoot off a Japanese rifle from WWII and get himself grounded for the entire summer. His parents only give him dispensation to help out an arthritic old lady with her obituary writing for the paper. But this kid somehow, during the course of this summer, meets up with the Hells Angels, a funeral home, murders, digs a bomb shelter, drops water balloons from a vintage plane, gets his blood-dripping nose cauterized, and writes the most incredibly interesting obituaries I’ve ever seen. I got impatient with this about halfway through. Occasional moments of clever brilliance, but Newbery-wise, I can't see this standing out in a field that includes Okay For Now. Also, the punk kid with quirky elderly neighbor plot ought to be locked in the vault for the next ten years or so. I think I just love middle grade tales of everyday life. Movies like The Sandlot and My Girl, as well as books like When You Reach Me and The Wednesday Wars. Sure, there are other events occurring in the plots of those books and movies but they are basically just about what's going on in the life of one young person, or a group of young people. The slight difference in Dead End in Norvelt, and it is one I really enjoyed, was the injection of more history. Norvelt was its own character and it was so interesting to hear different characters weighing in on their feelings about the town fading away, people moving away or dying, and whether or not they should fight to continue the values on which the town was based. For those who never plan to read this book (or listen to it, which I recommend), Norvelt was built up by the federal government after the Depression to house out-of-work coal miners and their families. The town was/is named for EleaNOR RooseVELT and after listening to small tidbits peppered throughout the book, I went to read up more on the history of the town. As someone whose favorite time period in American history to learn about is the New Deal era, this book and the subsequent Wikipedia articles it inspired me to go and read were like a pleasant treat. This book isn't for everyone and I can understand why the ratings and reviews are all over the place. This is a book about a young boy--there is a gratuitously long section about farting while hunting. Necessary? Heck no, but definitely realistic for boys that age to be talking/thinking about. Sensational at parts? Again, yes, but that's part of the overall feeling of the novel. If even half of the events happened and even a quarter of those people existed, Jack Gantos had a hugely eventful childhood. Or at least one hilarious and memorable summer. I received this as a GoodReads FirstReads giveaway win. 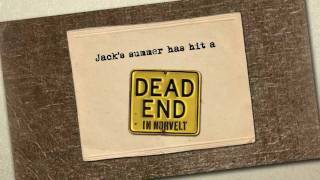 "Dead End In Norvelt" is a book by Jack Gantos about a boy named, well . . . Jack Gantos. The blurb on the back of the book says it's a mix of truth and fantasy, but it's difficult to see where one leaves off and the other begins! The book begins some time during the early 1960s, with young Jack Gantos earning a summer long grounding after accidentally shooting his father's rifle. Unable to spend the days playing with his best friend, Bunny, I received this as a GoodReads FirstReads giveaway win. The book begins some time during the early 1960s, with young Jack Gantos earning a summer long grounding after accidentally shooting his father's rifle. Unable to spend the days playing with his best friend, Bunny, he's stuck doing chores for his firm but kind hearted mother, his communist hating father, and his wacky neighbor, Miss Volker. Add to this is a string of deaths amongst the community of elderly women in their town, a vendetta with Hell's Angels, and Miss Volker's eternally optimistic suitor, the irritating Mr. Spizz, and you've got yourself one heck of a romp. I really liked Jack -- he's a sweet, endearing boy who doesn't always do the right thing, but always means to. I also loved the feisty Miss Volker, whose love of history almost matches her love and admiration for Eleanor Roosevelt. My copy says this book is for kids 10-14, but this is certainly a wonderful read for adults as well. Lots of nostalgia here that will resonate more with older readers, but I think it's a great opportunity for younger readers to see how past generations lived. There's a lot of food for thought here, as well, for all ages -- our responsibility for our neighbors, as well as those less fortunate than ourselves; history, particularly the way history is biased by whoever tells it; life, love, and death; and even philosophical musings on the nature of war. What was the Newbery Committee thinking? I wish I could give this Newbery winner 3 and a half stars, but that's not an option and, sadly, it doesn't deserve 4 in my mind. Readers will find Jack and the wacky characters who fill his life in 1960s Norvelt, a government-sponsored social experiment in western Pennsylvania, funny and will enjoy the read. However, an award-winning novel for children or adults should be more than amusing. It should have a universal, worthwhile theme and dynamic charact What was the Newbery Committee thinking? I wish I could give this Newbery winner 3 and a half stars, but that's not an option and, sadly, it doesn't deserve 4 in my mind. Readers will find Jack and the wacky characters who fill his life in 1960s Norvelt, a government-sponsored social experiment in western Pennsylvania, funny and will enjoy the read. However, an award-winning novel for children or adults should be more than amusing. It should have a universal, worthwhile theme and dynamic characters who grow and change from their experiences, and these two elements are what this historical fiction lacks. "Easy to be hard. Easy to be cold. Do they only care about the bleeding crowd? How about a needing friend?" More mature readers may recognize the irony in Norvelt... Jack's mother fiercely espouses the commune-like social justice tenets upon which the town was built yet unfairly punishes her son for obeying his father; several elderly women are murdered, yet there is no anger, no outrage, and no resolution to the crime, just a statement that authorities would probably catch up with the culprit before long; and Miss Volker talks about the importance of history but doesn't hesitate to fabricate it. Gantos' social injustice theme is revealed through these and other small ironies, but it was all so casual and offhand that most of his audience will totally miss it. What makes Jack Gantos tick? It’s a question that haunts every book he writes, from the simplest Rotten Ralph to his own YA autobiography Hole in My Life. It’s a talent to write compelling characters, but what if the most compelling character of them all is the author himself? With each Gantos tome I find myself coming back to this question: Why is Jack Gantos the way he is? To be fair, I suspect the man is asking himself the same question at the same time. How else to explain the Jack Henry boo What makes Jack Gantos tick? It’s a question that haunts every book he writes, from the simplest Rotten Ralph to his own YA autobiography Hole in My Life. It’s a talent to write compelling characters, but what if the most compelling character of them all is the author himself? With each Gantos tome I find myself coming back to this question: Why is Jack Gantos the way he is? To be fair, I suspect the man is asking himself the same question at the same time. How else to explain the Jack Henry books like Jack Adrift that cull from the author’s life? Or the aforementioned autobiography? Or the fact that Dead End in Norvelt, his latest outing, stars a kid named “Jack Gantos” who lives in a town Jack lived in for a time and experiences many of the things Jack experienced. We’re dealing with a book that melds memoir and fiction by turns, managing to drop little tidbits of information that appear to be the seeds of everything from Joey Pigza to The Love Curse of the Rumbaughs. Folks, it’s a weird book. No question about that. It may also be one of the finest he’s produced in years. Just don’t go walking into it with your eyes closed, is all. 1962, Norvelt, PA. It’s a town that owes its existence to Eleanor Roosevelt (for whom it is named) and the residence of one young Jack Gantos. A kid with a perpetually bleeding proboscis, Jack’s looking forward to having an awesome summer. That is, before his mother forces him to help out old Miss Volker write the town’s obituaries. Before he’s grounded for mowing down his mom’s corn (because his dad told him to, and how fair is that?). Before it seems as though the whole summer might pass him by. Fortunately, Jack finds his time with Miss Volker to be fascinating, and that’s before all the little old ladies in town start dying off at an remarkably quickfire rate. Is there something natural or unnatural behind these deaths? And more importantly, will Jack ever get to play an honest game of baseball under the shining sun ever again? Here’s a quick tip on how you can determine if a writer’s any good. Generally speaking, if you can get to page three and already know the personalities of four different characters exquisitely well, that’s a writer to keep an eye on. Gantos does precisely that with this book too. By the fourth page you’ve a good sense of your narrator (a nose-bleeder who pities a pony and likes a good war movie), his mother (helpful to neighbors, critical of her son’s behavior, with her own projects to take care of), his uncle (a “confused jerk”, or so says his sister), and his father (a former navy man who once stripped dead Japanese soldiers of their weapons and keepsakes). It’s quick, it’s fast, it’s easy. Without lingering, Gantos can give you snapshot after snapshot of a character’s qualities, both good and bad. The other theme? There’s a bit the comic Eddie Izzard does about Scooby-Doo that comes immediately to mind. Izzard argues that Shaggy and Scooby are significant literary characters because they are cowards and you root for them. “And is there any other character out there, a cowardly character, that you root for in the same way?” Falstaff, maybe, but there’s a melancholy to him that sort of rules him out. Cowardice is a great theme of Novelt too, but one could easily argue that though the main character might describe himself as a coward (dead people do nothing for him) the reader could see that the opposite is the case. Consider the role of the Hell’s Angels in this book. They are built to look tough (and, indeed, they make for fantastic literary villains since unlike a lot of demonized groups of this time period the Angels didn’t have an underlying philosophy to make them historically sympathetic). They wear tough clothes and get into fights and look mean. Yet Miss Volker puts her finger on it when she calls them cowards. They sneak into small towns burning down buildings just for the heck of it. They beat up old men because there’s no chance of retribution. They are cowards. Jack, in contrast, is willing to do what is frightening to him. The Angels could hardly say as much. Of course the whole reason to come to this book in the first place is to bear witness to the poetry of the language. Individual lines would just jump out at me and demand to be noticed. Lines like “Something had to be wrong with me, but one really good advantage about being dirt-poor is that you can’t afford to go to the doctor and get bad news.” Even better: “. . . if you think about it a refrigerator is just a coffin for food that stands upright.” Or the line from Jack’s friend who stares at his incoming irate mother while his nose bleeds: “Why are you standing around like vampire bait?” There are a million good lines in this book. These are just some of my own personal favs. Some folks will be turned off by the less than enticing details surrounding the book. The dead bodies, the blood that pours from Jack’s nose like a faucet, etc. Others will be fine with that but will find the ending of the story a bit darker than they’d expected. I had no problems with any of these, and I don’t think most kids will either. What I did have a small problem with was the fact that though the book is set in the post-WWII era, Jack is one heckuva forward thinking guy. The kind of kid who sides with the Aztecs when he reads about their slaughter at the hands of the Spaniards. I’d like to think that the kid would be that liberal in his history reading, but frankly I’m not so sure. I mean, it’s not like he has that many influences in his life that would inform such thoughts. His father, sure as heck, wouldn’t be encouraging Jack to think that way. Dunno. Seemed a bit out of place in an otherwise consistent novel. In the Preface, Mr. Gantos does not care to specify which elements of this story have their basis in truth and which have their basis in far-flung fiction. I suspect you’ll be able to parse the two in your own mind, even while you sit back and admire the man’s storytelling skills. By and large, the book is built for a stage production. You’ve a limited number of sets and a small manageable cast. Kids, however, will be most intrigued by the book if you hook them on the darker elements. The sheer gushing torrents of blood (this has got to be the most inadvertent blood-soaked book of the year), the deaths, and even the mystery, when told properly, should lure them in. It’s not an easy book, but it does make for a compelling story, in spite of the protagonist’s limited movements. I walked into this title looking for an explanation of what makes Jack Gantos tick. I never found my answer. Instead, I found a book I can read and enjoy and recommend ad nauseum. And as trades go, that one sounds like a good deal to me. This review contains spoilers - I'm not a good enough writer to express my displeasure with this book without revealing plot points. OK, so I am definitely not on the "Dead End in Norvelt" bandwagon. Not only do I not understand how this book won the Newbery, I'm not really sure why it even got published. A lot of folks on Amazon are quoted as thinking it funny, charming, a fast read. It was none of those things for me. I slogged through it right to the end, and I will say, I was rewarded. Beca This review contains spoilers - I'm not a good enough writer to express my displeasure with this book without revealing plot points. OK, so I am definitely not on the "Dead End in Norvelt" bandwagon. Not only do I not understand how this book won the Newbery, I'm not really sure why it even got published. A lot of folks on Amazon are quoted as thinking it funny, charming, a fast read. It was none of those things for me. I slogged through it right to the end, and I will say, I was rewarded. Because on the last page, the main character, Jack, realizes that the stunt he and his father are pulling is actually not funny, but frightening, and misguided. It was the one thing in this book I could agree on. I did not like any of the characters, and found the relationship between the parents inexplicable. If the dad hates "commies" so much, how did he ever marry - or even meet - a woman raised in what she considers a sort of socialist paradise, who embraces socialist principles (although the word "socialist" is never uttered by anyone)? Maybe kids wouldn't really pick up on this, but it is my sad fate to prefer logic, and children's books shouldn't be exempted. The whole setup of the book is that Jack is grounded because he does something that makes his mom really, justifiably, mad. The problem is, it's something his dad ordered him to do, knowing the mom would object, but not really caring. So mom gets mad at Jack, but not Dad? Or at least madder at Jack than Dad. As for the humor, I could tell the places where I was supposed to laugh, but I just couldn't. Kind of like when I see the Three Stooges. Maybe if I had liked the characters, I could enjoy their banter, but everyone just seemed cartooney. In fact, I really think this book would have benefited by having lots of illustrations, like "Diary of a Wimpy Kid", to complement the cartoon actions of everyone in the book. Of course, that would mean it would never win the Newbery. And it would also mean lots of pictures of nosebleeds, since our hero is prone to nosebleeds. If you took out all the references to nosebleeds in this book, the thing would be half as long. I got so tired of reading about blood streaming, spilling, being sopped up by hankies, etc. I think what the Newbery committee liked about this book was the many references to history sprinkled throughout the book. And I can understand that. The character who knows and shares all this history is Miss Volker, the local writer of obituaries as well as the town medical examiner. She ultimately proves to be so in love with writing obituaries - laced with history lessons - for longtime community members that she neglects to do her job, which leads to several people being murdered. Oops! No one ends up being particularly sorry about these deaths, I guess because they're old widowed women; presumably the world is better off without them. And how could we have had those many enjoyable history lessons if the ladies were allowed to live? When Miss Volker finds out her mistake, she decides to retire, but mentions that she did have an enjoyable time getting the confession out of the real murderer. Well, as long a she enjoyed herself, that's all that matters. Fabulous middle grade historical fiction book that was hilarious. My 10 year old daughter might not get everything but lots of the history she learned in 4th grade. It's a fun read! Don't let this "kids" book deter you as an adult from reading. Great recommendation from GR friend, Tina. DEAD END IN NORVELT is a cornfield plowed under. It is bloody bad. It reminds me of a bomb shelter waiting to be annihilated. And it has about as much usefulness. I didn't like it; I don't recommend it much. But then, I'm not among the demographic for which it is written. I'm no kid. Rather, I stem from the era it is set in. In 1960, I was twelve years old. So I believe I know something of the time period. At least, I do from an old man's perspective looking back and remembering. And that's one DEAD END IN NORVELT is a cornfield plowed under. It is bloody bad. It reminds me of a bomb shelter waiting to be annihilated. And it has about as much usefulness. I didn't like it; I don't recommend it much. But then, I'm not among the demographic for which it is written. I'm no kid. Rather, I stem from the era it is set in. In 1960, I was twelve years old. So I believe I know something of the time period. At least, I do from an old man's perspective looking back and remembering. And that's one thing I liked about the book: it did make me think of that period of my life; it was nostalgic, in some respects. So, Jack, the protagonist in DEAD END IN NORVELT, gets into trouble and gets grounded. After all, he's just a young boy and he needs to learn a lesson from his errors. Or not. First, he's grounded for firing a souvenir Japanese rifle of his father's --- Why the heck (cheese us crust, by the way, as a euphemism, is pathetic) does Jack have access to the gun in the first place? --- then he gets in trouble for mowing his mother's corn down --- After his father told him to do it. --- then he gets in trouble for something else, and something else, and something else, etc. The cycle repeats itself again and again, tirelessly, tiresomely. And most of the time, Jack's not entirely at fault for the trouble he gets into, but nobody else (eg. his parents and mentors) seems to take any responsibility at all for him getting into trouble. For heaven sakes, the adults have him driving a car around all over with an eighty-year-old mentor, Mrs. Volker, in it without him being old enough to do so or having a driver's license. No biggie. Over against that scenario of being grounded for getting into trouble, Jack's nose bleeds. Then it bleeds some more and some more and some more, etc. Jack doesn't ever seem to get any help from his parents for his bloody nose (or much else). It's not the type of trouble that they take action to help him out with. Instead, they send him off to Volker, the old-lady obituary-compiler of all the old people dying off in the dead end town. Volker suffers from crippling arthritis; her hands operate like the extremities of a crab. She melts wax to dip them in to get enough relief to stick a sharp instrument up Jack's nose to cauterize his blood vessels. Caricatures. The characters in DEAD END IN NORVELT seem more like caricatures rather than fleshed out individuals who are real. The adults, for example, are substantially portrayed as selfish and self-interested, even when shown to have compassion for others. They have agendas, and they pursue their agendas to the exclusion of looking after the welfare and benefit of their kids. Dad: A bomb shelter. An airplane. A runway. Mom: Take care of the poor and elderly. Stay grounded. Mrs. Volker: Write the obituaries. Deride the tricycle guy. Etc. Bottom line, the book's a mortuary, and you know what you'll find there: dead people. And that's where it all ends. I had read OKAY FOR NOW some time ago and had hoped it would win the Newbery. When DEAD END IN NORVELT won, I had to read it for comparison's sake. I'm glad I did, but it hasn't changed my evaluation. I did not enjoy this book at all. Jack's parents drive me nuts, and there's way to much talk of the devil, curses, and of course there are occurrences of God's name in vain. It's the summer of 1962 and Jack Gantos has been grounded by his mother. It's not for ruining multiple shirts because of his frequent nosebleeds (Jack's nose opens up anytime he's feeling nervous or unsettled). Instead it's for plowing under his mother's corn field, even though he was just following his father's orders. His mother planned to use the harvest corn as a barter instrument and food supply for those less fortunate in the small town of Norville. Jack's father wants to use the field for It's the summer of 1962 and Jack Gantos has been grounded by his mother. It's not for ruining multiple shirts because of his frequent nosebleeds (Jack's nose opens up anytime he's feeling nervous or unsettled). Instead it's for plowing under his mother's corn field, even though he was just following his father's orders. His mother planned to use the harvest corn as a barter instrument and food supply for those less fortunate in the small town of Norville. Jack's father wants to use the field for a bomb shelter and a runway for the plane he's fixing up. Jack's only respite from his room is helping his neighbor Ms. Volker. Charged by Eleanor Roosevelt to take care of the town's founding members, Ms. Volker is a former nurse turned obituary journalist who can no longer write or type due to arthritis. Seeing each obit as a chance to give the town a history lesson, Ms. Volker transcribes the obit to Jack who then types it up and delivers to the home town paper for publication. "Dead End in Norvelt" blends the fictional with the semi-autobiographical into a novel that is sweet, charming and, at times, laugh out loud funny. How much or how little of the story is actually true doesn't really matter--the story Gantos tells here feels authentic and believable. Some absurd things happen in the story, but Gantos wisely keeps it all grounded, leading to some touching and funny moments. "Dead End" easily transitions from the insightful to the humorous without missing a beat. This book was really, really good! I have the opportunity to meet the author, Jack Gantos at the library and wanted to have read something by him before attending. I am so tickled I did. This is the story of a summer of his life when he was ten years old. He helps Miss Volker write obituaries for the newspaper and so much more. I true delight to read. Reads like a hot mess at first with bizarre, seemingly disconnected characters and events, but Gantos pulls it together and builds something brilliant out of it. Over the years, I’ve read a few Jack Gantos’ articles or speeches in The Horn Book magazine and have really enjoyed them. One must have appeared there when this book won the Newbury Medal, because I remember it stating where he wrote it: the Boston Public Library. That and many other things got this on my to-read list. Gantos is a quirky writer, it seems, with a schtick and a suit and a lot of intelligence. He aims his books at boys, and teaches at Emerson College, or did. He also has a serious c Over the years, I’ve read a few Jack Gantos’ articles or speeches in The Horn Book magazine and have really enjoyed them. One must have appeared there when this book won the Newbury Medal, because I remember it stating where he wrote it: the Boston Public Library. That and many other things got this on my to-read list. Gantos is a quirky writer, it seems, with a schtick and a suit and a lot of intelligence. He aims his books at boys, and teaches at Emerson College, or did. He also has a serious criminal conviction on his record, which is interesting too. I may read his nonfiction book about it next time I pick up something by him. Unfortunately, it’s also a bit uneven. His portrayal of a boy named Jack Gantos is a great character sketch. Things happened, but the middle dragged. Jack Gantos the character is grounded for the summer but is allowed to help an elderly neighbor, Miss Volker, by writing out obituaries she dictates and delivering them to the local newspaper. Like Miss Volker, the Jack Gantos character is into history. She likes to tack it onto her obituaries. This history is excellent. I enjoyed its angle, but some readers who believe a critical perspective is unpatriotic may find it challenging at times. Jack’s father buys an airplane, Hell’s Angels come to town, but Jack rarely interacts with children his own age because of being grounded. That may have been one reason I had difficulty with the middle. The old folks dying off becomes something late in the game, but it is not integral to what may or may not be the heart of the story, which lies with Jack. That, and some things that happen at the very ending might be what Scieszka is referring to when he says it’s weird, and it is. Those abrupt moves, I guess, is what kept it from being weird brilliant for me and I think my son, though my son did laugh out loud a lot while I read to him. Winner of the 2012 Newbery, this entertaining semi-autobiographical tale tells of an America now long gone. Set in 1962 in a government-planned town as part of a program spearheaded by Eleanor Roosevelt to help Americans live decent, middle-class lives, it’s much more a tale of Depression-era New Deal progressivism, that’s sadly such a bad word today, than it is of small-town ‘60s America. It’s the beginning of summer, and twelve-year-old Jack has just accidentally fired his father’s looted “Jap Winner of the 2012 Newbery, this entertaining semi-autobiographical tale tells of an America now long gone. Set in 1962 in a government-planned town as part of a program spearheaded by Eleanor Roosevelt to help Americans live decent, middle-class lives, it’s much more a tale of Depression-era New Deal progressivism, that’s sadly such a bad word today, than it is of small-town ‘60s America. It’s the beginning of summer, and twelve-year-old Jack has just accidentally fired his father’s looted “Jap” rifle, which results in his being grounded for the rest of vacation. Nearly the only interaction Jack gets is with two older people. There’s the slightly ludicrous but still self-righteous, tricycle-riding Mr. Spizz, who hands out citations for mundane infractions. And then there’s the indefatigable, eccentric Miss Volker, a walking encyclopedia of New Deal Americana, who gets him to help write vivid obituaries of the now mostly elderly townspeople and a column about the town’s leftist history. There’s also his friend Bunny, but she keeps scaring him with tales of her father’s mortuary, so he gets panic nosebleeds. I was lucky enough to experience this via Advanced LISTENING Copy. This means I got to hear Jack Gantos do Jack Gantos. It was a genuine summer treat. The real charm here is the colorful cast of characters that include Jack's parents, childhood friend, neighbors and quirky community members. While there is a grim aspect to the story, there is thoughtfulness in the historical bytes and socialist ideals that contrast to a burgeoning capitalist community. I don't mean to make it sound too fancy. It I was lucky enough to experience this via Advanced LISTENING Copy. This means I got to hear Jack Gantos do Jack Gantos. It was a genuine summer treat. I don't mean to make it sound too fancy. It's a fun book, really. Great for boys! Let me begin by saying that ROTTEN RALPH is one of my favorite read-aloud picture books, and I even have a copy signed by Mr. Gantos from when I was in preschool and he came to visit...but DEAD END IN NORVELT is no ROTTEN RALPH. I ended the book with a big "huh?" tattooed on my thought-bubble. I read another review that said this is the sort of book that's targeted to get little boys to read...and I guess I can see that...but from the beginning I was confused as to how old the protagon 1.5 stars. Let me begin by saying that ROTTEN RALPH is one of my favorite read-aloud picture books, and I even have a copy signed by Mr. Gantos from when I was in preschool and he came to visit...but DEAD END IN NORVELT is no ROTTEN RALPH. I ended the book with a big "huh?" tattooed on my thought-bubble. I read another review that said this is the sort of book that's targeted to get little boys to read...and I guess I can see that...but from the beginning I was confused as to how old the protagonist was, what his motivations were, why his family and friends act the way they do, and what it's all supposed to mean. The last line of the book seems to sum it up...but it's ridiculous. The events become more and more surreal, until I thought I was reading a poor imitation of some South American magic realist novel. The magical realist short story "The Third Bank of the River," BTW, is a much better coming-of-age tale than this one. Other people like this book. I can't imagine why. Although I have many complaints (the murder of a half dozen people is played for laughs, the father is psychotic but no one seems to notice, the book somehow manages to also be boring) let's focus on just one: the casual use of a particular slur. Several characters use a slur to refer to people of Japanese decent. One character, briefly, admonishes them to stop, but no one does. There are no Japanese characters in the book, no discussion of racism Other people like this book. I can't imagine why. Although I have many complaints (the murder of a half dozen people is played for laughs, the father is psychotic but no one seems to notice, the book somehow manages to also be boring) let's focus on just one: the casual use of a particular slur. Several characters use a slur to refer to people of Japanese decent. One character, briefly, admonishes them to stop, but no one does. There are no Japanese characters in the book, no discussion of racism. The plot has essentially nothing to do with anyone of Japanese decent. Why include a slur, at least a dozen times, if you're not addressing it somehow? How is it necessary, what does it add? Just picked up the audio of this book for $5 at a second hand music store in town and I'm about halfway through the first disc. With all of the critical attention this book received, I'm looking forward to the rest of it. Once I figured out that Jack Gantos the author was being intentionally funny, and that he'd written the character of Jack Gantos as unintentionally funny, the book took off for me. This was a fantastic audio book experience! Dead End in Norvelt is a story about the author's youth and the town he grew up in. It is part fiction and part nonfiction. I thought this book was very slow moving. If I get caught up in a good book, it will usually take me only days to finish, but Dead End in Norvelt took me weeks! The story itself is enjoyable and fun to read, especially if you like learning about the history of small town America. This is Jack Gantos at his best. Weird, funny and endlessly entertaining. If you're a fan of his Jack Henry and Joey Pigza books, you'll love this one. Seriously, I don’t even know how to describe this novel. I guess it maybe won the Newberry because it was quirky, unique, and set in a real place with an interesting history. I felt a bit perplexed by the randomness of it but kept listening because there were some genuinely amusing sections. Ms. Volker is the feisty old lady character seen in many other stories, but her relationship with Jack was sweet. Jack is a likable kid. I seriously doubt that I could get any of my fifth What a weird book. I finally finished this book and not because it was bad. Quite the opposite. I kept writing in my reading log all the one-liners I liked -inking up 13 pages. Then I started to read the first chapter out loud to the grade 5 classes - many laughing hysterically at the outlandish behavior of the characters. There are 8 classes and it takes 10 days to see them all - throw in the fact I got bronchitis and it got dragged out another week - but voila, I am finally done with the 2012 Newbery Medal winne I finally finished this book and not because it was bad. Quite the opposite. I kept writing in my reading log all the one-liners I liked -inking up 13 pages. Then I started to read the first chapter out loud to the grade 5 classes - many laughing hysterically at the outlandish behavior of the characters. There are 8 classes and it takes 10 days to see them all - throw in the fact I got bronchitis and it got dragged out another week - but voila, I am finally done with the 2012 Newbery Medal winner... and oh boy, is it a winner, from the nose-bleeding main character-named-after-the author, Jack Gantos, to the no-nonsense, unsqueamish, Norvelt historian, Miss Volker. Gantos is grounded for the summer for shooting off his dad's rifle and mowing down his mother's cornfield. He acts first and thinks later - or doesn't think at all in some cases. He's like a Sherman tank. Plus, his chronic nose-bleeding problem makes it hard for him to hide any emotions; his nose becomes a geiser when he is frightened or lies or gets excited or sees dead people. And this is the summer of death. Death of a town. Death of his neighbors. Death of deer, rodents, corn and his summer vacation. When Gantos becomes the “hired hands” for Miss Volker, little does he realize that his new job involves not only typing the obituaries for Miss Volker who writes for the newspaper, but it means donning his Grim Reaper costume from Halloween, and driving Miss Volker, who also happens to be the Norvelt Medical Examiner, to examine the bodies of people who have died in town. Things become suspicious after about half a dozen old ladies die in the town and whispers of murder spread like "air leaking out of a crypt." Miss Volker has arthritis that has transformed her hands into "talons of a hawk perched on a fence" and some funny images surround them throughout the story. She asks Gantos to line up her Girl Scout Thin Mints on the kitchen counter so she can sweep them off the edge and into her mouth like she is "scoring a goal in hockey." This will make a fine meal she claims and asks him to also leave a glass of milk with a straw. At one point Gantos who is on his way to play baseball gets stopped by Miss Volker who wants to write an obituary and he knows he's going to miss the game because "Miss Volker always liked to take her time. The hands on her kitchen clock were just as useless to her as her own two hands." Later when they examine a dead body, Miss Volker has to sign the death certificate but she can't write so she has Gantos (whom she calls her hired hands) help her, "I pressed the pen between my hand and Miss Volker's twisted palm and together we managed to slowly scrawl her name; letter by letter, as if we were receiving it from an Ouija board." She drops the phone often when calling Gantos and one time hollers as the phone clatters on the floor, "Dang phone!" When she sees Gantos father hauling a Norvelt home out of town on a flatbed truck she "tried desperately to open the door handle but her fingers were so rusted together she gave up trying and leaned out the open window. 'You should be ashamed of yourself! These are Norvelt homes,' she shouted, "Mrs. Roosevelt said our homes should stay right in town and never, ever be destroyed!'" Miss Volker talks to Gantos about how each of us carries history within ourselves. How "every living soul is a book of their own history which sits on the ever-growing shelf in the library of human memories." This is why Miss Volker always links the obituary of a townsperson to a famous story in history. This book did remind me of my own history growing up with five siblings in the suburbs and having a brother who had nose-bleeds that had to be cauterized by a doctor. But there's more to the story than just a person's history. It is the importance of learning from history and learning from past mistakes. Some readers might find the nose-bleeding gross while others will find it funny. The dad is disrespectful toward other cultures calling the Russians "Commies" and the Japanese "Japs" and some might find it offensive. However, later in the story it is balanced by Miss Volker's obituary that talks about being respectful and as the novel progresses it shows his dad was scarred by the war. This theme makes for interesting dialogue about how people we love and trust don't always think and say the right things. While Ganto's dad is a little crude, insensitive, funny, and sneaky; he's more like an immature boy versus a cruel man. The reader can see where Jack gets his sneaky ways. The two are like conspirators as they defy his mom and plot behind her back to mow down a cornfield, build a bomb shelter, get out of punishment and fly an airplane. Here are some of the great lines. Have a good laugh. When Gantos learns to drive Miss Volker comments: "You're a fast learner," she remarked. "You've gone from slow poke to safety hazard in one day." "Something had to be wrong with me, but one advantage about being dirt-poor is that you can't afford to go to the doctor and get bad news." Gantos dad bought a military plane at an auction that was cheaper than a car and joked that at the next auction he'd see what Sherman tanks were. "That would be so cool, I thought. I wouldn't have to learn to steer - I could just drive in a straight line and run things over." This book offers an entertaining look at life in rural Pennsylvania in the early 1960s. My spirit animal must be a 12 year old boy because I loved the shenanigans of Jack. Jack’s friendship with Miss Volker is endearing and I really enjoyed the history she taught him as he wrote the obituaries she dictated. This book was funny and I really liked it! I adored this book, and was sorry when it was over. Somewhere (twitter? titletalk? a listserv?) I heard a recommendation for the audio book, read by Gantos, and was so glad that I experienced it that way. Even the title works on so many different levels. I was a huge proponent for Okay for Now for the Newbery, but I can now see why this won. There are interesting parallels between the two books: male main character in the '60's, important relationship with a much-older non-family member who impa I adored this book, and was sorry when it was over. Somewhere (twitter? titletalk? a listserv?) I heard a recommendation for the audio book, read by Gantos, and was so glad that I experienced it that way. Even the title works on so many different levels. I was a huge proponent for Okay for Now for the Newbery, but I can now see why this won. There are interesting parallels between the two books: male main character in the '60's, important relationship with a much-older non-family member who imparts a lot of wisdom and draws out talent, and somewhat convoluted endings that included things I could have done without. I have read reviews that complained about history being somewhat twisted in the book, but any child's recollections would have similar disparities. I found myself looking up Norvelt, Antony and Cleopatra, and several other references in the book. And, what was that UFO? (I looked it up.) I created notes via evernote for things I wanted to look up when I was finished. Gantos has such a way with words and humor. I wonder how many people on the roads looked at me with suspicion as I was laughing out loud as I listened in the car. Images of Miss Volker cooking her hands, dialing the phone with her toes, cauterizing Jack's nose, Mr. Spizz on a tricycle, and Jack passing gas to save a deer were just a few of the great images Gantos paints. You can tell that Gantos took time to write and rewrite to get the phrases just right, such as, "I wiped Mr. Spizz out of my mind just as quickly as I wiped the blood away on the back of my hand". I have seen a fascinating video of Gantos talking about his journaling and writing style via teachingbooks.net, and appreciate the process that he uses. While I don't necessarily agree with all of Gantos's views (and I would ask students: How much of Miss Volker's views do you think are really Gantos'? ), I learned so much from this book. I wish students would get an appreciation of history as demonstrated by Jack. To me, the obituaries were often a highlight. They reinforce the idea that "Everyone Has a Story", a feature I enjoy on the CBS Evening News with Steve Hartman. Too many of these stories are at risk of being lost. Will today's children have such interesting, varied lives? Their hardships are often quite different than what these Norvelters experienced. Coincidentally, a 90-year-old patron of many arts who rose from poverty to ultimately become a millionaire died this week in Indianapolis, and when I read her actual obituary, I was reminded of the book. I would have liked to know more about the Hell's Angels. They can't be too happy about their portrayal in the book. Would you send a Girl Scout out alone at 10 pm to watch for arsonists? Jack Gantos is an American author of children's books renowned for his portrayal of fictional Joey Pigza, a boy with ADHD, and many other well known characters such as Rotten Ralph, Jack Henry, Jack Gantos (memoirs) and others. Gantos has won a number of awards, including the Newbery, the Newbery Honor, the Scott O'Dell Award, the Printz Honor, and the Sibert Honor from the American Library Associ Jack Gantos is an American author of children's books renowned for his portrayal of fictional Joey Pigza, a boy with ADHD, and many other well known characters such as Rotten Ralph, Jack Henry, Jack Gantos (memoirs) and others. Gantos has won a number of awards, including the Newbery, the Newbery Honor, the Scott O'Dell Award, the Printz Honor, and the Sibert Honor from the American Library Association, and he has been a finalist for the National Book Award. Gantos was born in Mount Pleasant, Pennsylvania to son of construction superintendent John Gantos and banker Elizabeth (Weaver) Gantos. The seeds for Jack Gantos' writing career were planted in sixth grade, when he read his sister's diary and decided he could write better than she could. Born in Mount Pleasant, Pennsylvania, and raised in Barbados and South Florida, Mr. Gantos began collecting anecdotes in grade school and later gathered them into stories. After his senior year in high school (where he lived in a welfare motel) he moved to a Caribbean island (St Croix) and began to train as a builder. He soon realized that construction was not his forté and started saving for college. While in St. Croix he met a drug smuggler and was offered a chance to make 10 000 dollars by sailing to New York with 2,000 pounds of hash. With an English eccentric captain on board they set off to the big city. Once there they hung out at the Chelsea hotel and Gantos carried on dreaming about college. Then, in Jacks own words, "The **** hit the fan" and the F.B.I. burst in on him. He managed to escape and hid out in the very same welfare motel he was living during high school. However, he saw sense and turned himself in. He was sentenced to six years in prison, which he describes in his novel -HOLE IN MY LIFE-. However, after a year and a half in prison he applied to college, was accepted. He was released from prison, entered college, and soon began his writing career. He received his BFA and his MA both from Emerson College. While in college, Jack began working on picture books with an illustrator friend. In 1976, they published their first book, Rotten Ralph. Mr. Gantos continued writing children's books and began teaching courses in children's book writing. He developed the master's degree program in children's book writing at Emerson College in Boston. In 1995 he resigned his tenured position in order to further his writing career (which turned out to be a great decision). He married art dealer Anne A. Lower on November 11, 1989. The couple has one child, Mabel, and they live in Boston, Massachusetts.